In any business venture, compliance with applicable laws and regulations is essential. These vary significantly depending on your industry and the jurisdiction in which you operate. In some cases, you may be subject to licensing and permitting requirements on the federal, state, and municipal levels. While many entrepreneurs are understandably excited to begin operations, failure to obtain the required licenses or permits can have serious consequences. In some cases, noncompliance with the applicable business regulations in your jurisdiction could even result in criminal charges or significant fines, potentially putting you out of business. Regulations regarding business licenses and permits are often voluminous and difficult for even sophisticated business people to understand. Anyone considering starting or expanding a business in California should contact an experienced attorney to discuss their circumstances. In the meantime, here is some information about some of the more commonly required business permits and licenses. In California, there are several professions which require a license to legally practice. For instance, lawyers, physicians, dentists, nurses, professional engineers, cosmetologists, psychologists, and real estate agents must be licensed by the State of California. More information regarding professional licenses can be found on the California Department of Consumer Affairs website here. Many cities and counties require businesses operating within their jurisdiction to obtain a business license. 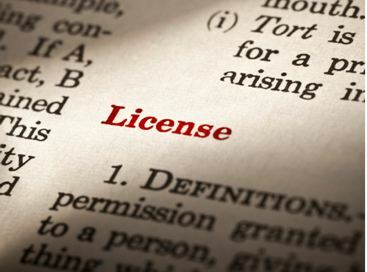 Generally, whether you need to have a business license depends on a variety of factors, including whether you are selling retail goods or whether your business has an actual physical presence. In some cases you must also ensure that your business complies with applicable zoning or use laws. If it does not, you may be able to obtain a conditional permit or variance in order to legally operate. While most businesses will not need to obtain any federal licenses, those operating in certain industries might. These industries include telecommunications, energy, hazardous waste management, and meat processing. Any business that sells food to consumers is subject to permitting and inspection by the local health department. Failure to do so can result in your operations being shut down.